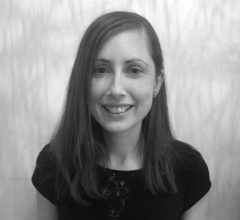 Kate holds a BA (Hons) Degree in Fine Art for Design and has worked in the arts and cultural sector for over 12 years. Kate has instigated, fundraised for and managed a range of creative programmes for Beam, including temporary and permanent public art commissions for private and public-sector clients, creative community engagement programmes and training opportunities for professionals. 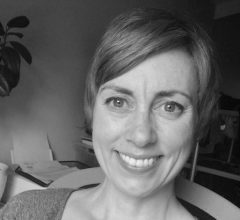 Kate always adopts a creative approach and is particularly interested in embedding artists and creative professionals in placemaking and innovatively engaging communities with their towns and cities. She is skilled in engaging professionals from a range of sectors to develop new working partnerships including coordination of: the national Arts and Place working group for the Place Alliance; the Wakefield Cultural Consortium to deliver the Arts Council England funded ‘Cultural Destinations’ programme and delivering a Public Art Strategy for City Fields – a 20-year residential development in Wakefield. She also managed the creative visioning and artist selection process for the Hull Public Realm Art programme. Other projects include management of the York West Offices Public Art Programme, Barnsley Public Art Programme, two EU Leonardo da Vinci Mobility funded international creative placement programmes for artists and built environment professionals with partners in Madrid, Seville and Cordoba, and permanent public art commissions at Wakefield Westgate and Wakefield Kirkgate train stations. Frances holds a Post Graduate Diploma in Arts Management from Anglia Ruskin University and a First Class BA (Hons) degree in Printed Textile and Surface Pattern Design from Leeds College of Art. She has over 12 years experience in the arts sector previously working for Wysing Arts Centre, Ilkley Literature Festival, Corridor Arts, Barnsley and Volunteering England. Recent Beam projects have included delivery of public art consultancy services for Derbyshire, Barnsley and Wakefield Councils and leading on the development of an annual ten-day literature festival for Wakefield since 2012, with headliners including Roger McGough, Carol Ann Duffy, Michael Wood and Joanne Harris. The festival has engaged with audiences of over 14,000 in total to date, with a particular focus on community engagement and partnership working. 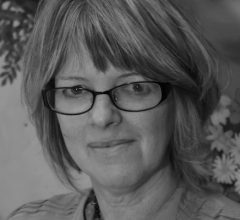 Frances has been with Beam since 2009 as Project Manager and latterly as Principal Consultant. She holds a Chartered Institute of Marketing professional qualification and has a particular interest in fundraising and development. 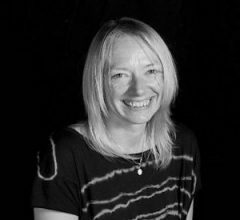 Hollie has over 17 years of experience and proven ability in the conception and delivery of highly successful marketing strategies, PR campaigns and audience development activity in the cultural sector. In recent years she has managed major significant launch projects including the opening of the multi-award winning art gallery, The Hepworth Wakefield. Hollie is a strategic thinker and an effective communicator adept at working with a range of stakeholders, she has the skills and insight to communicate clear key messages to target audiences through campaign planning and delivery. Over the years she has developed extensive experience of working directly with artists, community groups, freelancers, sponsors, agencies, SMEs and large and small organisations and therefore understands the challenges of working with festivals, small teams and individuals to deliver ambitious projects and artistic programmes with limited resource. As part of her Senior Management role at The Hepworth Wakefield, Hollie adopted a project management approach with effective working processes to manage and deliver clearly defined projects, audience development activity and successful campaigns within set timescales and budgets. Hollie is also an &Co Associate Consultant working freelance on a range of projects spanning both visual and performing arts. Projects include: the reopening campaign for Leeds Art Gallery; IOU Theatres’ tour of an innovative new performance, Rear View; and for Beam – delivery of Wakefield Lit Fest ‘Talking Loud and Saying Summat’ with A Firm of Poets; and an arts and health initiative, ‘Words for Wellbeing’. She is also a board member at The Civic, Barnsley. Lizzy has 30 years experience of working in the community and public arts sector including development of Arts and Public Arts Strategies and projects to support strategic aims, planning and managing projects, arts and community events and delivery of arts activities with people of all ages and abilities. Through her work with artists’ and community arts organisations and in Local Authorities she has gathered experience of public arts including project development, fundraising, management, arts delivery, developing participation and consultation and reporting. 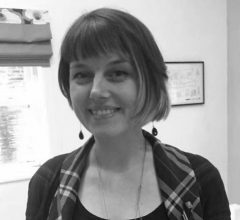 Lizzy now works as a freelance artist and consultant on public art and engagement and as a arts tutor with the WEA. Lizzy’s work has always been in conjunction with communities and she has considerable experience of working in partnership with a wide range of stakeholders. Working as part of the team at Beam, Yvonne has project managed numerous permanent public art commissions including artwork in Bolsover, Chesterfield, Barnsley and Hull. 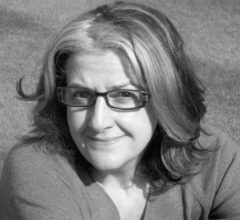 Yvonne is also Creative Producer of Vespertine, a free arts events programme in York, which explores using new technologies in response to heritage spaces. Vespertine has recently been awarded best Cultural Partnership at the inaugural York Culture Awards. Yvonne also runs and curates South Square Centre, a grassroots community and gallery space in Thornton, Bradford. Internationally she has undertaken a 4 month socially engaged artist residency at Cittadellarte Fondazione Pistoletto, Biella (Italy) and has spent 100 days working on a number of the ‘Activated Projects’ at dOCUMENTA (13), Kassel (Germany). Sharon has always worked in the arts and in Yorkshire. She is passionate about the positive difference the arts can make to individuals and communities and feels blessed to enable and facilitate such projects. Sharon’s background is in Arts For Health, event and project management, studio manager and now strategic lead. When time allows her personal creative practise is based around sculpture, textiles and installations. John Orrell BA hons 3D Des BA hons Arch AA Dip RIBA. 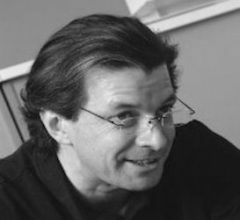 John is an architect and Design Director of the DLA Design Group. He is a member of the RIBA Core Review Group which published the new RIBA Plan of Work in May 2013. The group also published the BIM Overlay to the RIBA Outline Plan of Work in May 2012. As part of the UK Government initiative, the BIM Task Group, he represents the RIBA on both the BIM4FM and BIM4Health teams advising on Building Information Modelling. He is an internal examiner on the Part III Professional Studies in Architecture course at Leeds Beckett University. 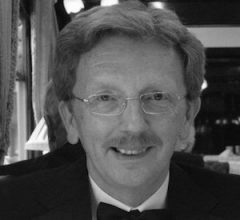 He is past RIBA Regional Chair for Yorkshire and Humberside, a RIBA Design Award Assessor and a Design Expert Witness. Kevin held a long career in the Civil Service, latterly as a senior project and programme manager with experience of delivering multi-million-pound business change and IT programmes. Kevin now writes and speaks about some of his favourite subjects including architecture, heritage, travel and Art Deco. He also writes restaurant reviews and other articles for Wakefield business magazine TopicUK. Kevin has over 25 years’ experience as a charity volunteer at trustee/board level. He has been president and chair of Wakefield Civic Society since 2002 and also chairs the Yorkshire and Humber Association of Civic Societies. Mark is Executive Director of Axisweb, an independent charity, platform and network supporting the development and showcasing of contemporary art. 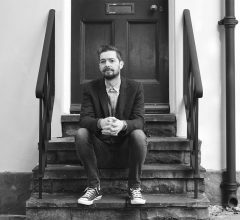 With over 15 years experience as a digital producer, Mark has led and collaborated on the development of art based digital programmes with organisations such as Mozilla Foundation, Art in Yorkshire, The Baltic, Crafts Council and Great Ormond Street Hospital. Lanie has traveled all over the world as a photographic art director, finally settling back in her home town and launching Our Agency, where she’s currently Creative Director. 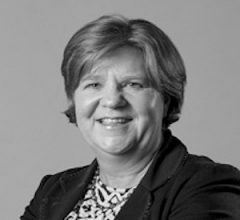 Lanie is Vice Chair of Wakefield Bondholders and ambassador for Wakefield. 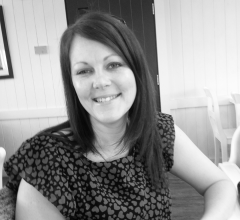 Debbie Mactaggart is an independent business lawyer and trusted advisor based in the Wakefield area. She has over 25 years’ experience as a solicitor dealing with business disputes particularly those involving HR and employment issues. She provides legal counsel services to businesses in the area. Her particular strengths include acting as a trusted advisor, building relationships and empathy with her clients.